The Sterling Emerging Markets Strategy was created to take advantage of the long-term growth prospects being enjoyed by Brazil, China, and India. 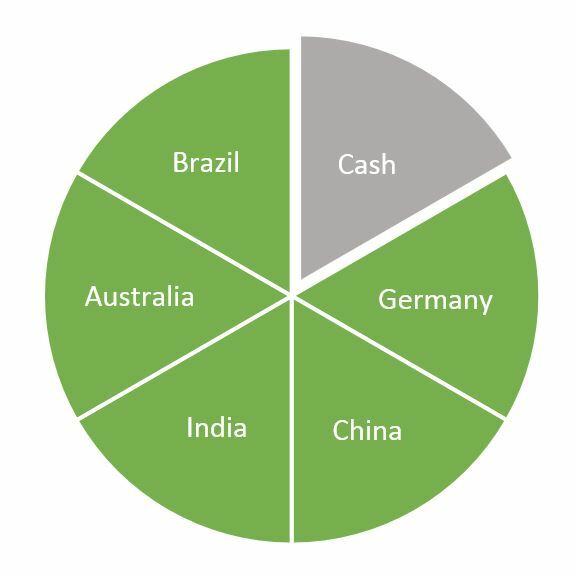 We have added two developed countries (Germany and Australia) to lower the correlation of the portfolio components. The low correlation, coupled with our go-to-cash risk management process, is designed to capture the upside potential of these three high growth markets while lowering overall downside risk.